Almost drowned out by the cacophony of noises being generated at the 2014 FIFA World Cup in Brazil has been another portentous if low-key achievement that shows that Philippine football, indeed, is on the rise. First half goals by Ratchaphan and Dassama won the Asian Football Confederation U-14 Girls’ Regional Championship for Thailand, despite Arantxa Trebol’s 51st minute consolation goal and a late flourish by the Filipina girls. It was the second consecutive runners-up finish by the Philippines in an AFC organised tournament, one separated by a mere two weeks from the other. However, the girls’ achievement is the clearest indicator yet that confidence gained from the senior men’s team’s exploits is beginning to filter down to youth level. Time was when a Philippine team whatever the level took to the field against another Southeast Asian team already feeling inferior. That is no longer the case. The disappointment, perhaps, stems from having gotten near the summit but just failing to make that ultimate step that separates champion teams from the rest. The Filipina girls began the tournament with an emphatic statement of intent, scoring six times against the hapless Singaporeans without reply. Itsuko Bacatan and Trebol both grabbed a brace. Another goal by Joyce Semacio and an unfortunate own goal by Sharifah Khaliesah completed the scoring. But what is it about Vietnam that our most historic football achievements seem to happen an awful lot in that country against its own national team? In 2010, Vietnam were the defending AFF Suzuki Cup champions. Goals scored by Chris Greatwich and Phil Younghusband gave the Philippines a famous victory that sparked what was then practically an unforeseeable resurgence of interest in the game back home. 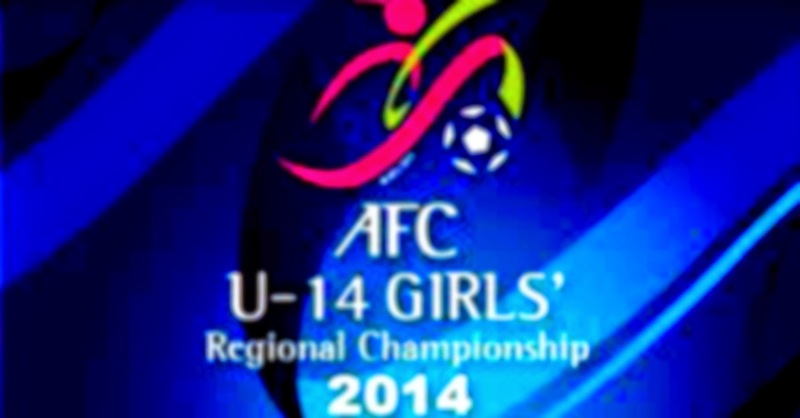 Vietnam were also the defending champions of the 2014 AFC U-14 Girls’ Regional Tournament and, as in the 2010 Suzuki Cup, again the Philippines’ second group opponents. Lindsay Whaley’s goal in the 28th minute goal ensured a historic first win over Vietnam at this level and replicated the achievement of the senior men’s team in 2010. The Filipina girls eventually outdid the 2010 Suzuki Cup team not only by reaching the final but also by topping their elimination round group. This they did by defeating Cambodia, 5-nil in their last group match on goals scored by Semacio, Bacatan, Whaley, and substitute Chloe Hails. Meth Mariyan’s 55th minute own goal rubbed salt into the wounds of the Cambodian girls. In topping the group, the Filipinas scored the most number of goals with 12 and conceded none heading into the semi-final against Myanmar, the second placed team in Group B of the regional championships. In the semis, the Filipina girls conceded an early goal to Myanmar’s Hnin Mya Thazin; but the teams left the pitch for the halftime break all square after Bacatan struck to equalise in the 14th minute. Semacio scored in the 66th minute to propel the Philippines to a second AFC final in two weeks; albeit the Thais subsequently proved to be a bridge too far for the Filipina girls despite a brave second half fight back. Philippine football has come to the point when losing a final is now seen as something of a disappointment. But Rome was not built in one day and instead brick by brick over time. On the other hand, the most important thing not only for the U-14 Girls’ team but also for the senior men’s team is that we now know how to get there. There will be a time when we will make that final step.